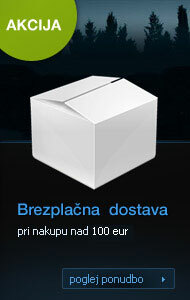 OCENI IN ZADENI 100 €! Opozorilo pri nakupu streliva in orožja! Za kakršnekoli dodatne informacije nas pokličite na telefonsko številko 05 620 22 08 ali nam pišite na info@slovarms.si. GRS Bolthorn is made of highest quality T6 6082 aluminum. The grip is made of composite and the distance to the trigger can be adjusted. The grip also has an angle of six percent, so your hand is in its natural, steady position. The SpeedLock 2.0 system makes it easy to adjust the length of pull, cheek piece and height of the recoil pad, all with a touch of a button. We want you to develop as a shooter. We´ve thought carefully about all the details. The stock is specially designed to minimize recoil. The return line created by recoil is as close to the core line as possible - meaning minimal movement after the shot is fired. GRS Bolthorn comes fully equipped with all rails, sling mounts and an AICS-compatible magazine as well. With GRS Bolthorn, you´re in the ideal shooting position. Many years of military long-range shooting experience lies behind the development of this stock. GRS Bolthorn is perfect for: A cool crisp day at the range. No wind. Clinical target shooting. 1000 meter cold bore shot. Body made in hard anodized 6082 T6 aluminum. Composite grip and side panels. 28 mm adjustment LOP and cheekpiece. Fluch cup slingmounts on all 4 piccatinny rails in front and both sides of the rear stock. Piccatinny rail on rear stock. Flush cup sling mounts included.